We moved to The Secret Acre to live the good life, so when the opportunity came along last month to visit Cerys Matthews’ Good Life Experience with friends and the dog, it seemed rude not to! The Festival is held in Gladstone’s Hawarden Estate, just down the road from the amazing, Harry Potter’esk Gladstone’s Library which we stayed at a few years back, but that’s another story. 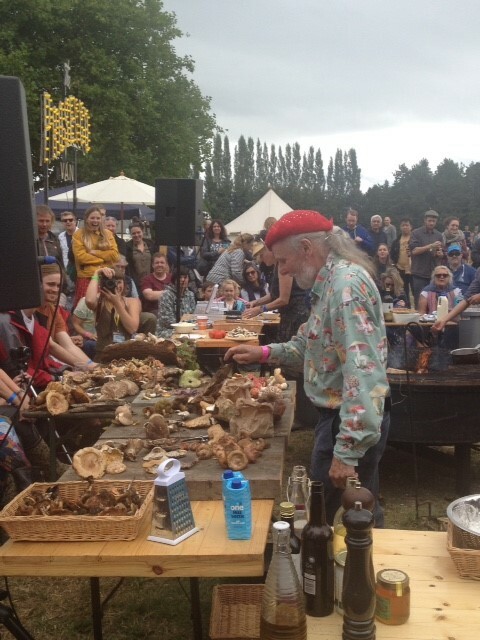 A lovely family and dog friendly festival of music, food, books, ideas, craft, and the great outdoors, it is everything old fashioned hunting, shooting and fishing County Shows are not, and perfect for smallholders like us. 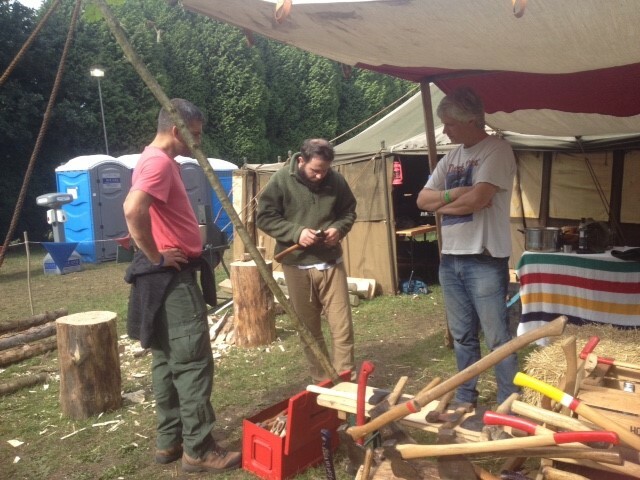 Among all the great things on offer, I learnt to handle an axe safely, and have been benefiting since from the inspiration Emma got from the various chefs’ campfire cooking sessions. Emma learnt to screen print and dance in Welsh clogs, and we both loved the mushroom forage, comedy and music. The good life indeed. 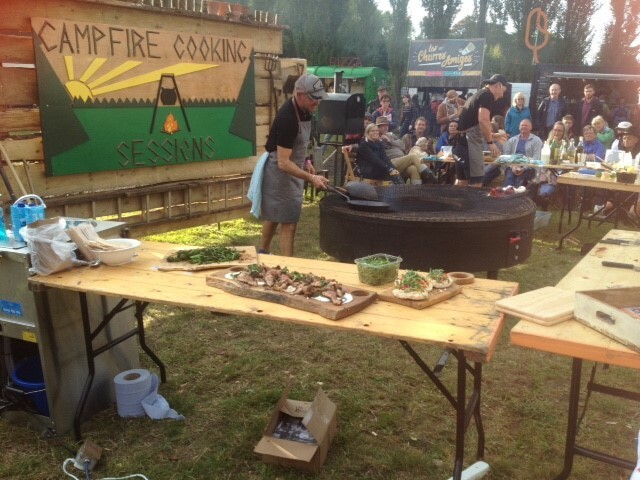 This entry was posted in Good Life and tagged campfire cooking, Cerys Matthews, clog dancing, Emma Alesworth, festival, foraging, Gladstone, Gladstone’s Library, Hawarden, Paul Rainger, Smallholding, The Good Life, The Good Life Experience, the great outdoors, The Secret Acre, Wales by paulrainger. Bookmark the permalink.